What would it be like to explore a largely unknown swath of the world—from the air? 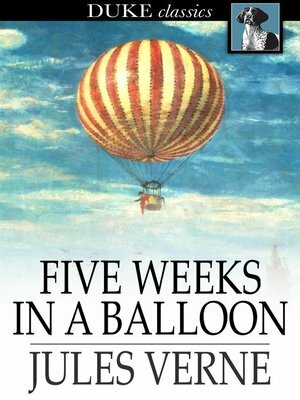 That's exactly what the intrepid explorers in Jules Verne's Five Weeks in a Balloon set out to do in this novel, an early entrant in the literature describing European exploration of Africa. Like many of Verne's novels, this tale is so richly detailed and historically accurate that you'll feel like you've actually come along for the ride.